What Flowers Grow in Ireland? Christians believe that Ireland's Saint Patrick used the shamrock's three leaves to illustrate the Christian doctrine of the Holy Trinity. Therefore, in Ireland, where the population is predominantly Catholic and Protestant, the shamrock came to be a symbol of Christianity. Later, it came to symbolize Irish nationalism and also good luck and good fortune. There is no single shamrock plant. Shamrocks are actually clover plants, of which there are roughly 300 varieties. Oxalis plants, which bear some resemblance to clovers, are also sometimes referred to as Irish shamrock plants. The Oxalis family of plants contains roughly 800 species. Irish shamrock plants have three leaves and green foliage, although a few are deep purple in color. Shamrock plants grow in mound-like shapes, spreading via the continual sprouting of new shoots. Most varieties feature small and delicate white or light pink blooms. Some shamrock plant varieties prefer shady, low light. However, others prefer bright light, or bright indirect light, so be sure to read any information that accompanies the Irish shamrock plant to determine its necessary light levels. During its regular growing months, keep the soil moist but never soggy. Because the plant grows from a bulb, it will go dormant for a few months each year in the winter. When this happens, the plant will look as if it's dying. Trim away any brown leaves or stems, give the plant very little water and place it in a cool place. Resume watering in two to three months. It is a popular myth that shamrock plants can grow only in Ireland or in Irish soil. In truth, shamrock plants (clovers and Oxalis) are found all over the world. Besides Ireland, species thrive in Australia, South Africa, England and North America. However, the plant is only referred to as a shamrock in Ireland. There are several hundred species of wildflowers that grow in Ireland. Flowers can be found all over the island, from the mountains to the sea. Some flowers indigenous of Ireland include the Irish orchid, Kerry lily, love-in-a-mist, flax fairy and groundsel. 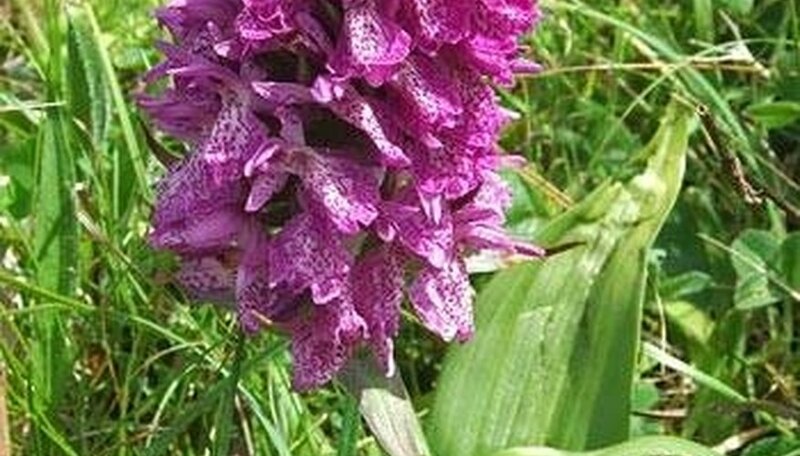 The Irish orchid is a perennial that grows in rocky and sandy places. It is found mostly in Clare and Galway. 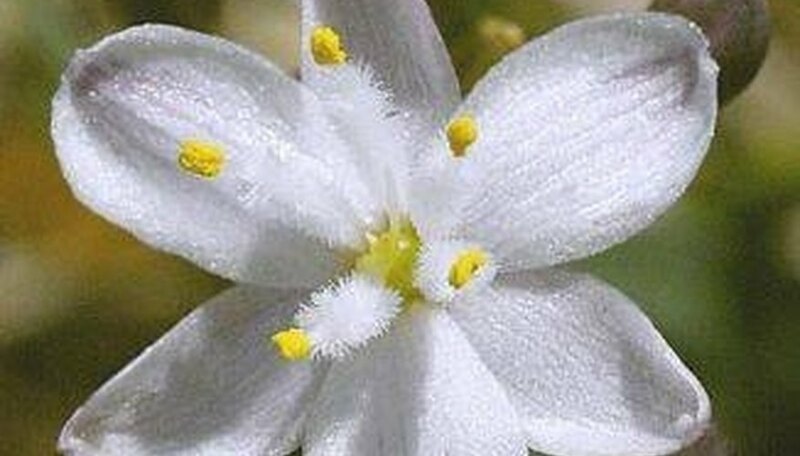 The petals are dense and the flower is brightly colored. This lily is a perennial and can only be found in Kerry. This wildflower stays close to the ground and has curled leaves. The Kerry lily is a beautiful, dainty white flower. Love-in-a-mist is a wildflower that blooms in the spring and summer. 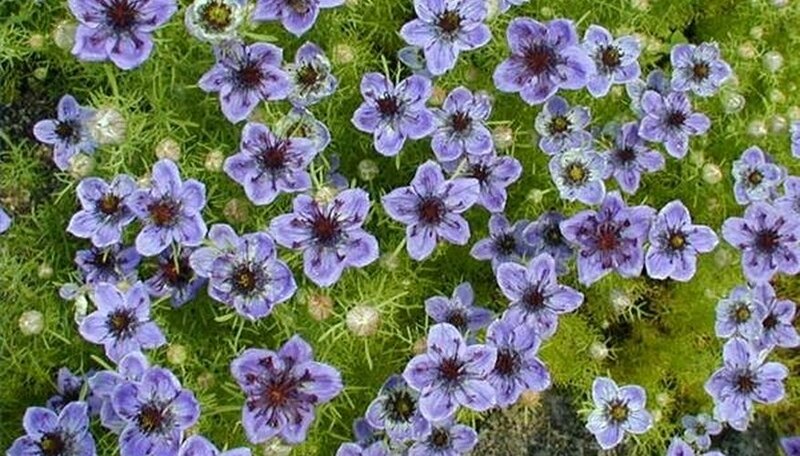 It grows in various colors, but is primarily blue and purple. Love-in-a-mist is also known for its black seeds. Flax fairy wildflowers have five petals and a yellow center. 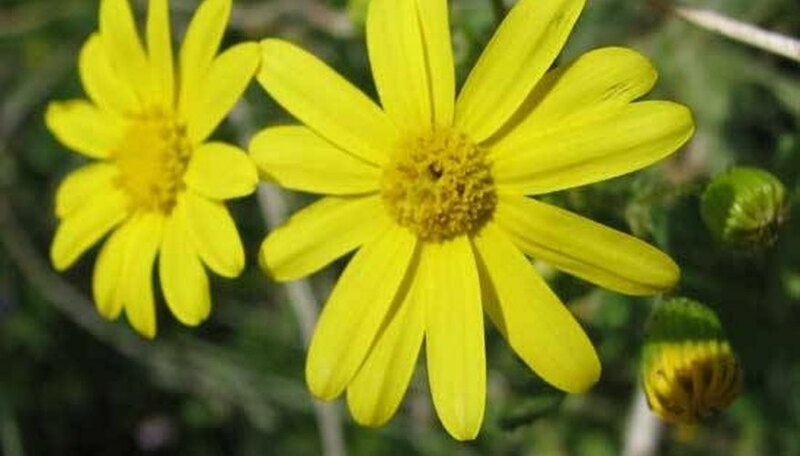 They are found in grasslands, and bloom from May to September. These flowers are also known as purging flax. If the seeds are eaten in large quantities, it can lead to severe digestive problems. 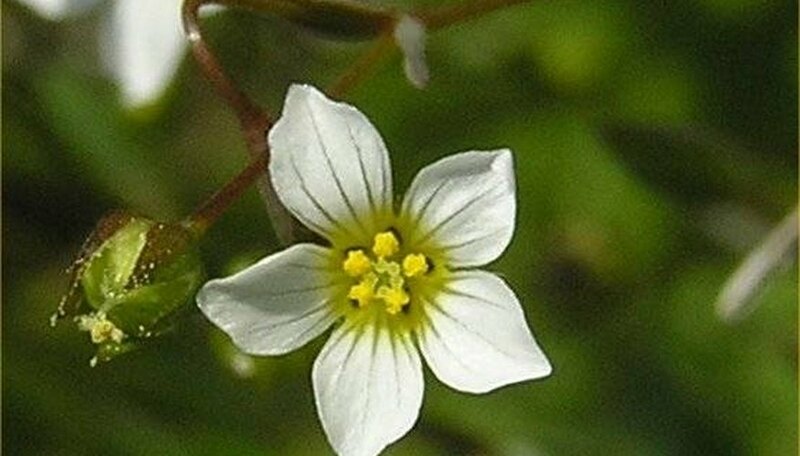 This flower can grow anywhere, and is often referred to as a weed. It can be found on the tops of walls and even growing near garbage. Groundsel is generally purple or yellow, and is an annual. This flower is also known as grundy swallow and ground glutton. Scotch moss (Sagina subulata Aurea) is similar to Irish moss (Sagina subulata). Both plants are deep green in color, with low, dense foliage. Both of these ground covers will easily grow in rocky areas and in a variety of soils. Determine how many Irish moss plants you need to grow to fill in your desired area. 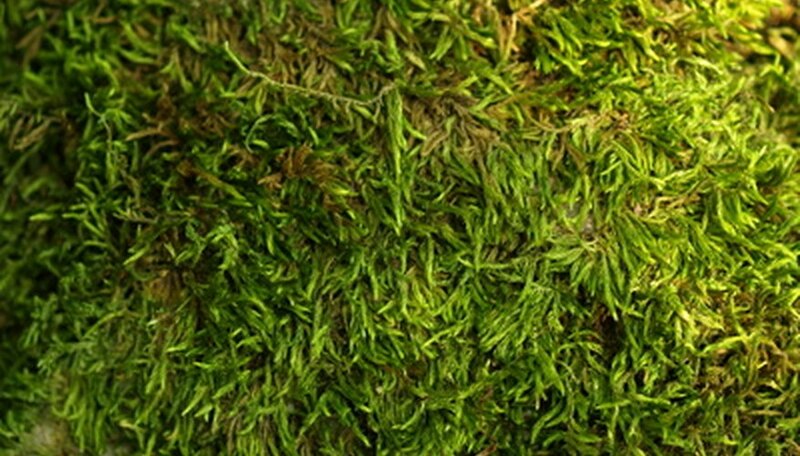 Irish mosses are planted between 6 and 12 inches apart. The closer they are planted together, the quicker they will fill the space. Purchase and plant Irish moss in the spring when temperatures reach above freezing and frost is not an issue. Irish moss usually can be purchased from spring until fall, but it will thrive if planted in the spring and given an entire growing season before winter. Buy Irish moss plants at a nursery center, usually available in 3- to 6-inch pots. Look for plants that are green and firm (not wilted). You also can buy Irish moss online or through a nursery catalog, if desired. Wash Irish moss in fresh water. Rinse. Repeat this several times, until the water runs clear. Combine Irish moss and milk in a double boiler to make pudding or a base for ice cream or milk shakes. Use ½ cup Irish moss per qt. of milk. Cook over boiling water for 30 minutes, stirring occasionally. Remove from heat and allow to cool to lukewarm. Strain the milk and discard the Irish moss. Add other ingredients such as sugar and flavoring and refrigerate several hours or overnight. For ice cream, cool, then freeze according to your ice cream maker's directions. Boil Irish moss with water or broth as the base for a soup. Boil for 30 minutes, strain and discard the moss. Add meat, vegetables and other soup ingredients and simmer until done. Remove all weeds from the planting area. In small areas, pull weeds by hand. In larger areas, consider using an herbicide containing glyphosate, according to package directions. Till the planting area to a depth of 10 inches. Add a 2-inch layer of compost and a 3-inch layer of sand to the soil and till it to a depth of 8 inches. Level the area with a rake. Water the planting area and allow the soil to drain. Scatter the Irish moss seeds, either by hand or with a broadcast spreader, thickly over the planting bed. Lightly blend the Irish moss seed into the top layer of the soil with a rake. Don’t cover them too deeply as they require light to germinate. Water the planting area to keep it moist while the Irish moss seeds germinate, which should occur within two weeks.